Our Starwest kava extract contains extracts from some of the finest Fijian kava. It has a mild 2% kavalactone content that will not overwhelm. 1-Ounce $9.49 $5.99 1-Ounce 5.99 Kava Points. 4-Ounce $28.99 $22.99 4-Ounce 22.99 Kava Points. Description: Wildcrafted Starwest Kava Extract. This is a popular item here and a consistent Top Seller. When we sent this product out for testing, it came back with about a 2% Kavalactone content. Compared to KKF’s Kava Tincture Plus at 6%, this may seem a bit low. But, not everyone wants the strongest kava they can find, and like to ease into the experience, rather than dive deeply into it. 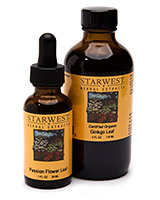 This product is also a water and alcohol-based extract rather than a proprietary blend of alcohol and glycerin that the other tinctures offered here contain. This gives a different character to the extract, including the fact that this product is sourced from Fiji Kava. Directions: Add 10-20 drops to water or juice several times each day as needed. Shake well before use. Warning: Not for use by persons under the age of 18. If pregnant, nursing or taking prescription drugs, consult a health care practitioner prior to use. Do not exceed recommended dose. Excessive consumption may impair ability to drive or operate heavy equipment. Not recommended for consumption with alcoholic beverages. Choose a 1 or 4 ounce bottle.